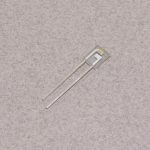 The E18-D80NK digital proximity sensor uses an infrared LED and receiver to determine the presence of an object within a specific distance. 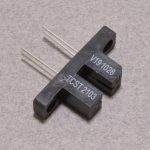 These make great obstacle detectors and can also be used as an optical gate or in positioning applications where stopping at certain distance is needed. 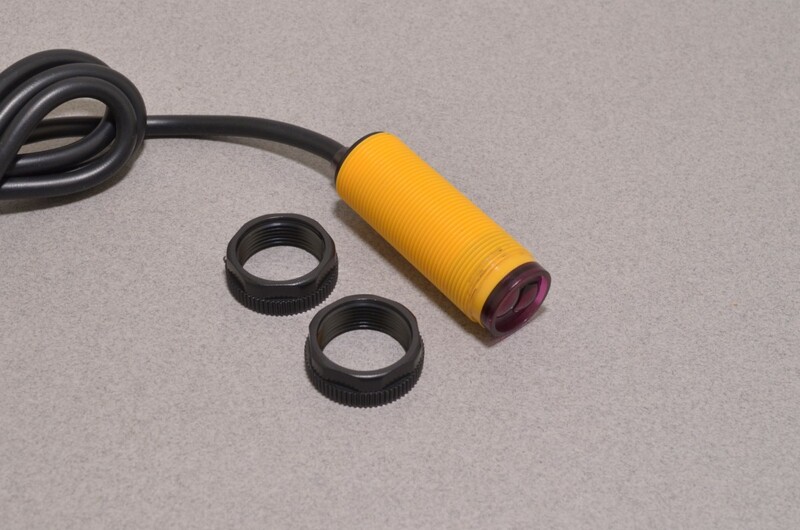 Mounting this sensor is quite easy – it has a long threaded body allowing for a considerable adjustment. 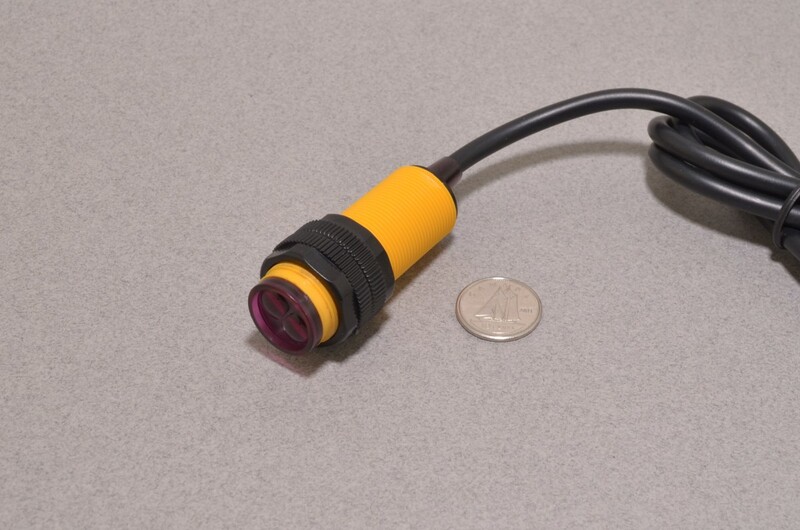 The sensor outputs a simple digital signal. The output signal is HIGH by default – but once an object is detected it is pulled LOW. 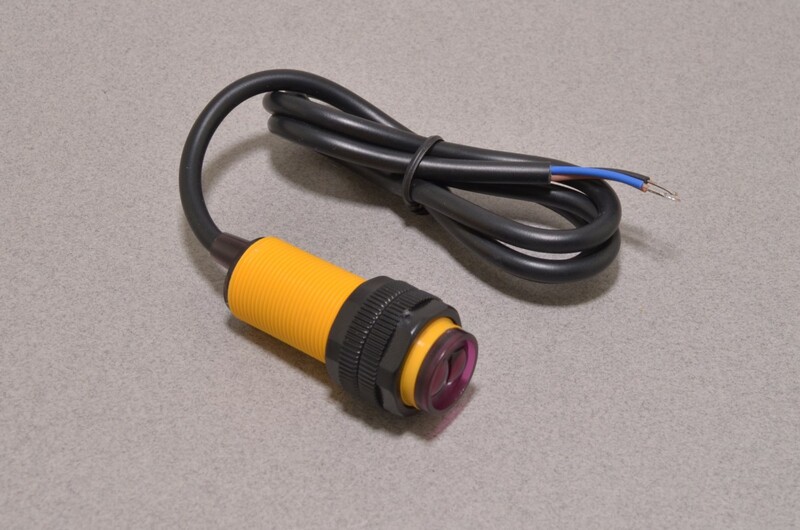 The detection distance is adjustable between 3-80cm using a small multi turn potentiometer on the top of the sensor. 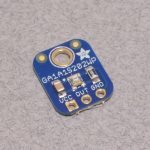 In addition to the digital output, there is also a small LED on the back of the sensor that illuminates when an object is detected. 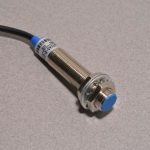 To use this sensor, connect the Brown wire to 5VDC, Blue to Ground, and a 10K Ohm resistor between Brown and Black. The Black wire will now sit at 5VDC unless an object is in the detection range. This can then be monitored with a microcontroller like an Arduino. SKU: SEN-110. Categories: Proximity, Light / Infrared. Tag: Sensor.